If your dentist has recommended a tooth extraction, you may be wondering what that is. A tooth extraction is a unique dental procedure that removes the tooth from its socket in the bone. 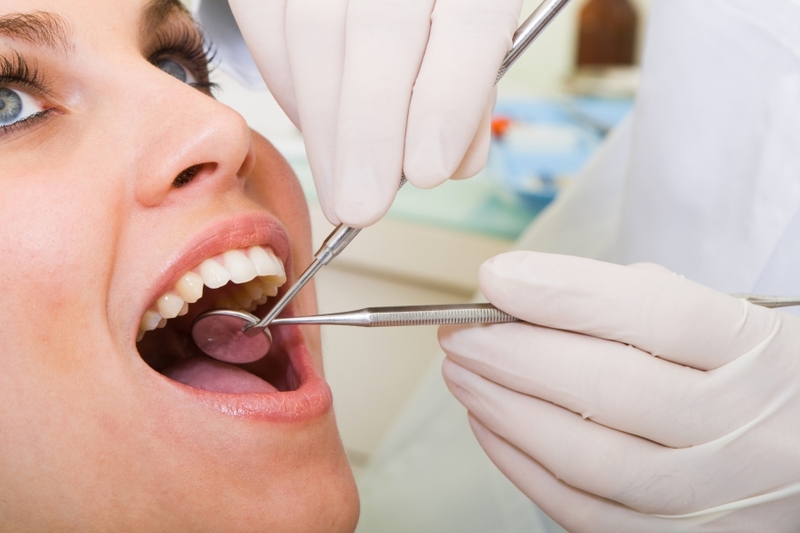 Many dental professionals will recommend a tooth extraction if you have broken, damaged, or decayed teeth. A very loose tooth may also require a tooth extraction if it cannot be saved, even if a bone graft is involved. While there are many reasons to get a tooth extraction, let’s look at some of the most common below. You have extra teeth in your mouth that are blocking other teeth from coming in correctly. Your baby teeth don’t fall out in time, and as a result, your permanent teeth do not come in. You need to get braces and the dentist must create more room in your mouth for the teeth that are being shifted. You need to receive radiation to the head or neck, and you need to have teeth extracted that are in the way of the procedure. Your wisdom teeth are not maturing properly or they are pushing up against your other teeth. You suffer from cracked, damaged, or deformed teeth. You suffer from periodontal disease. At Library Plaza Dental, we specialize in tooth extractions and a variety of other dental procedures across Des Plaines. When you visit our state of the art dental facility, our staff will do everything they can take make you feel comfortable. Depending on which teeth you need to have removed, your dentist may recommend using a local anesthetic. If you’re interested in learning more about our tooth extraction procedures, contact us today. If your dentist tells you that you need your wisdom teeth removed, you may be wondering why. People often have their wisdom teeth removed because there simply isn’t enough room in their mouth to house extra teeth. Due to this cramped space, it’s common for our wisdom teeth to grow in at an angle, which can cause major issues for the rest of your mouth. Also known as third molars, wisdom teeth tend to damage the teeth that sit right next to them, also known as secondary molars. Most dental professionals recommend removing wisdom teeth before they have a chance to become a problem. This can also help you to avoid more complicated oral surgeries down the line. Why Is Our Jaw & Mouth So Small? Many people wonder why our mouths can’t house the extra teeth we grow. The reason our mouths can become so cramped is because the human jaw is actually smaller than it used to be. Contrary to popular belief, this isn’t due to evolution. It’s actually because our modern diet lacks certain key nutrients that allow our jaw to develop properly. One vitamin in particular that is very important to the development of our jaw is vitamin K2. So, at the end of the day, how do you know if your jaw has fully developed? This answer will depend on your childhood, but eating raw, crunch foods that are rich in nutrients are what can help to stimulate jaw development. The main reason behind removing wisdom teeth is to prevent them from damaging other healthy teeth in your mouth. When your wisdom teeth grow in sideways, it can throw off your natural bite and lead to speedy decay of your teeth. Improper wisdom teeth growth can also lead to an array of painful infections. At Library Plaza Dental, we take wisdom tooth removal very seriously. If you feel that your wisdom teeth are becoming a problem or you’ve started to feel pressure near your third molars, contact our dental professionals today. Only a certified dentist can identify whether or not a dental extraction is the best procedure for you. When Should I Schedule My Wisdom Tooth Removal? If your dentist recommends wisdom tooth removal because your third molars will negatively impact your bite or other teeth, you’ll want to schedule your procedure before the root is fully formed. When the root of your wisdom tooth is fully developed, it can make the extraction much more difficult to complete. Since teeth grow from the crown down to the root, if you can schedule your wisdom tooth extraction before the root develops, you can recover in significantly less time. We also recommending scheduling your tooth extraction over a long weekend or during a summer break. Try to find a timeframe where your stress levels are low and you will have someone to take care of you. 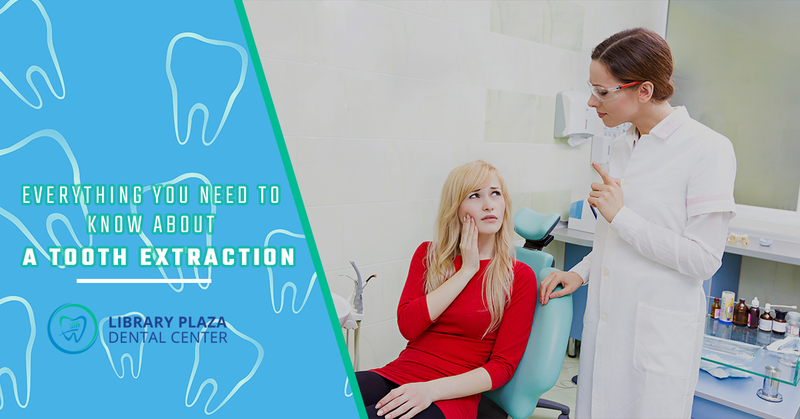 If you live near Des Plaines and you or a loved one is in need of wisdom tooth removal or a tooth extraction, contact the dental experts at Library Plaza Dental today. We’re passionate about assisting our clients with all of their dental needs, and we would be happy to help.